JIL SANDER, the high-end luxury brand, is the epitome of modernity and sophistication. Its unconditional dedication to contemporary design combines elegance and purity with innovative materials and exceptional craftsmanship. The refinement of cuts and the perfection of details give form to a figure that stands out by its distinctive belief in excellence and highest quality standard. 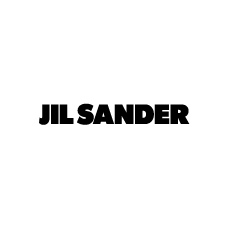 The JIL SANDER product range includes women's and men's ready-to-wear, shoes, bags, accessories, fragrance and eyewear.